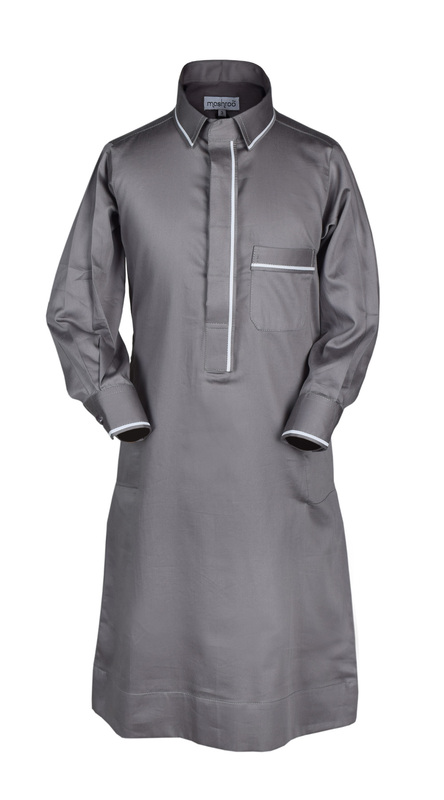 The Grey Caveat designer dishdasha from Mashroo is an elementary design with just a touch of detailing on the cuffs, pocket and collar. 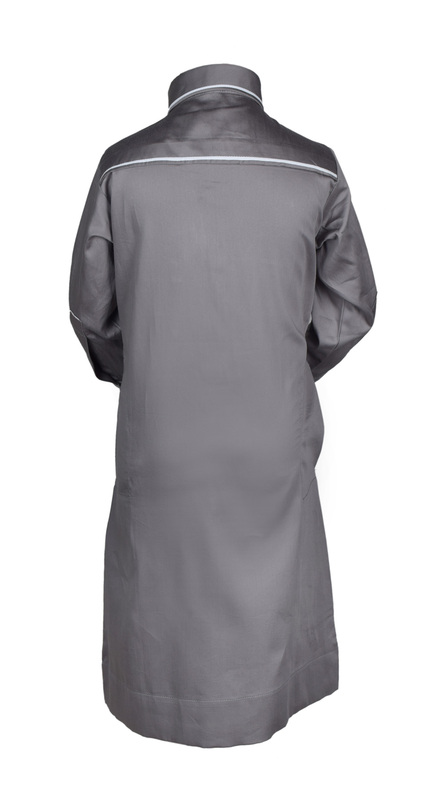 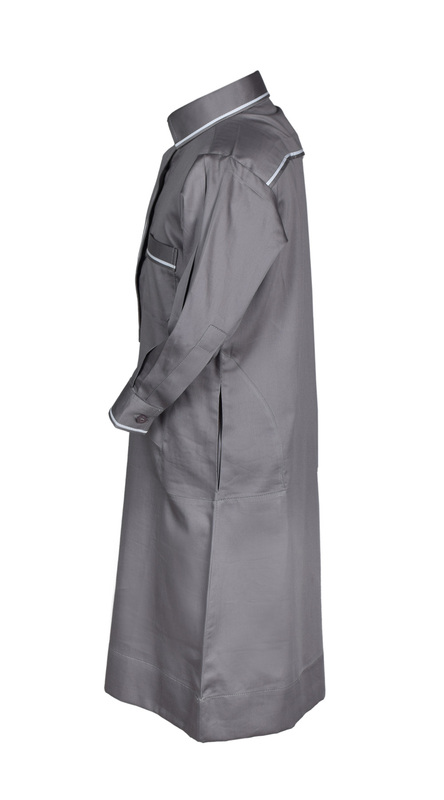 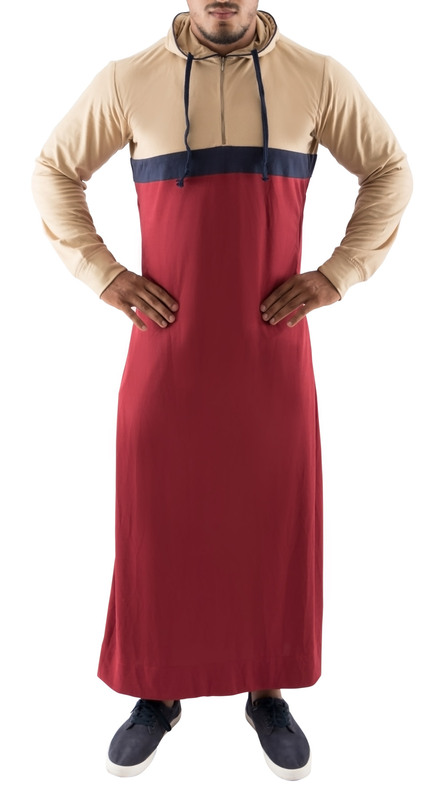 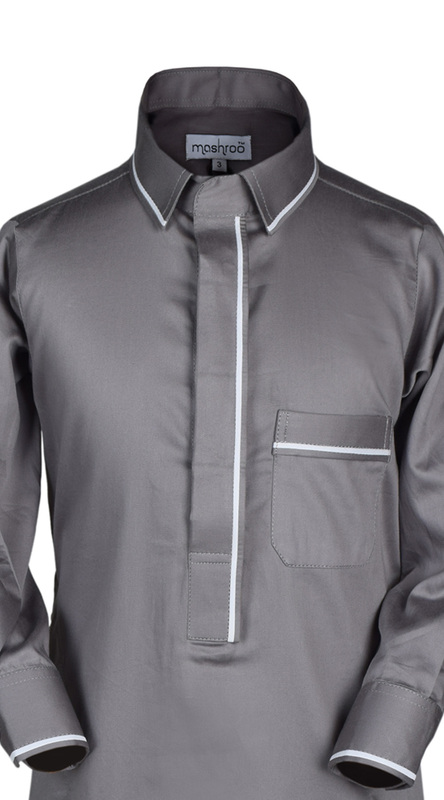 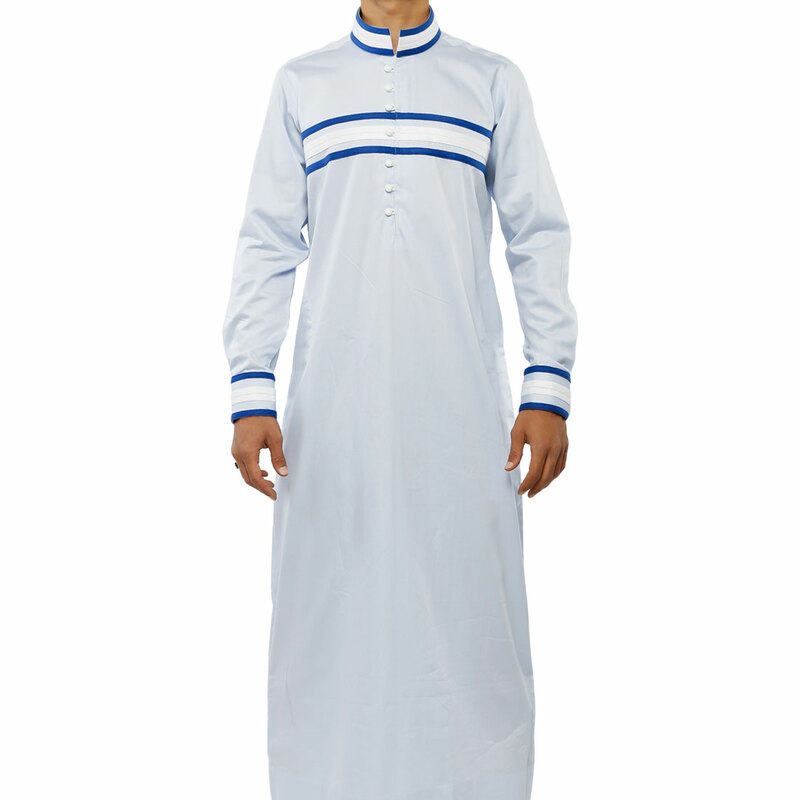 Casual yet smart, the simple thobe is bound to make you look a class apart in any crowd. 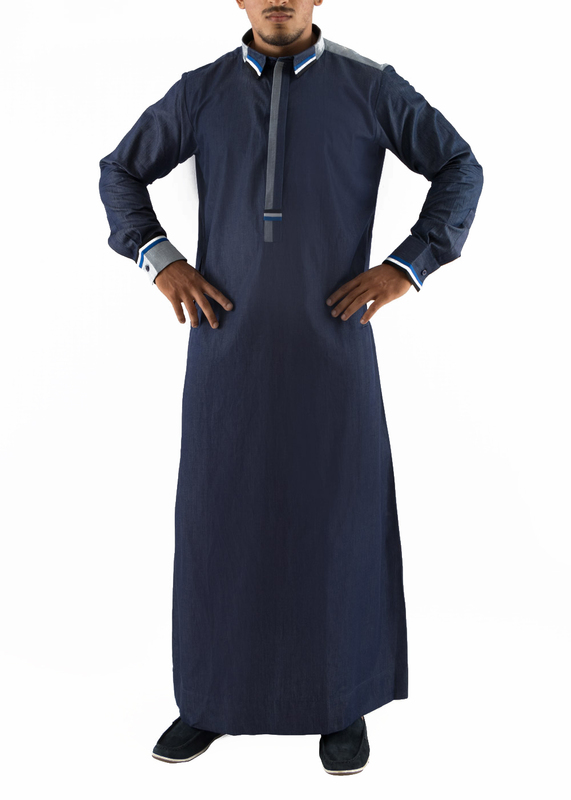 Made with the perfect fabric for spring and summer – chambray .